We're back! Pidg and I needed a week or so break from Same Difference since life got a wee bit overwhelming there for a sec. But, we're back and ready to do this! Pidg and I decide on a little theme to write about (okay, I usually pick the topic but it's only 'cause I'm a control freak) and then, well...we write. Whatever we want and however we want...the only thing is we don't contribute to each other's posts and don't see the posts until they're published. I was obsessed with making mixed tapes. For you young'ns out there...there used to be these things called cassette tapes. You could record music onto them. There were two sides, so when the last song on Side A would finish, you would have to eject the cassette and turn it over for more music. 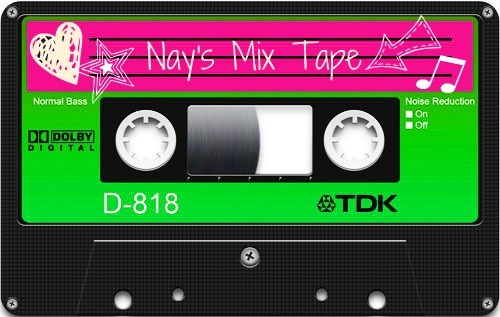 But anyway, I thought it would be fun to make a virtual "mix tape" for today's post. The songs are what I would've have listened to during the summer in my early 20s. probably dancing and jumping on the bed and singing at the top of my lungs. Or it would have been the tape I would pop in the car on the way to a party. Brings back a lot of memories...a lot of them fun! 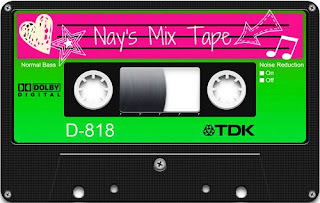 What would've been on your mix tape "back in the day"? Now, go see Pidg and see what she came up with. I have always and will always love, live and breathe music. There, I partook... lol Seriously, you are the best friend in the world to always understand that as you told me "It's okay, life comes first" and boy did it come fast this week. Sorry I missed you. It would have been a good post too... just trickin!